We have released the final installment of the Terror Project series, THREE A.M. WAKE-UP CALL, this past Tuesday (June 5). TRIPLICITY and THREE ON A MATCH will be $9.99 (30% off) for the paperback and $1.99 for the e-book (50% off) from June 4–10. TRIPLICITY will also be coming out on audiobook any day now (I received an email from ACX on Wednesday saying it was “heading to retail,” but no indication of when it will be available). Tony and Rob, I’ll update you when it’s available. THREE ON A MATCH is heading into audio production now, with an anticipated October release date for the audiobook. Then our narrator will move on to the final book. Books & Boos Press is pleased to reveal the cover for our upcoming release, Three A.M. Wake-Up Call. The third and final installment in the Terror Project series, the collection features three novellas: “Chew Toys” by Nick Cato, “Clinton Road” by Rob Watts, and “Roons” by David Daniel. The stories in Three A.M. Wake-Up Call bring the series to an end by returning to more traditional, haunting horror. Cato’s “Chew Toys” answers the question, What if Son of Sam killer David Berkowitz wasn’t lying about his neighbor’s dog ordering him to kill? with entertainingly gruesome glee. Watts’s “Clinton Road” follows the path of a woman struggling with the disintegration of her marriage who takes up residence on a road steeped in urban legend and rumored paranormal activity. The collection ends with Daniel’s “Roons,” in which a man in his middle years returns home to find a haunting mystery that has waited decades to be unearthed. Three A.M. Wake-Up Call is scheduled for release the first week of June. Are you looking to meet some authors? Our authors will be reading and signing in multiple places during the month of October. Listen to and meet Dan Foley, Stacey Longo and John Valeri at the Mary Cheney Library on Oct. 14 from 2 to 4 p.m. for Indie Author Day. They will be discussing the writing process, getting published, and marketing one’s work. The library is located at 586 Main Street in Manchester, CT.
Meet authors Longo and Rob Watts at Super Megafest in Marlborough, MA. on Oct. 21 and 22. They will also be hosting a panel, So You Want to be a Writer, at 11 a.m. on Sunday, Oct. 22. Rob Smales will be joining them for the panel. 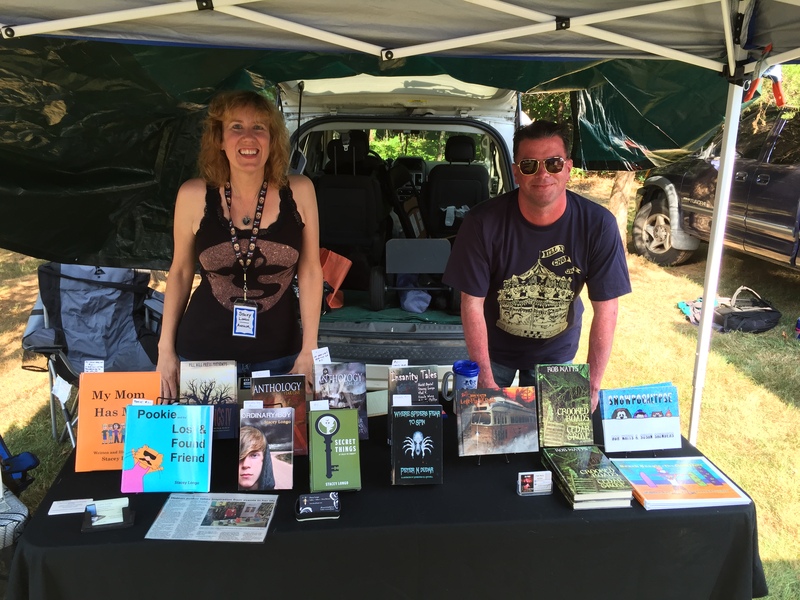 Authors Stacey Longo and Rob Watts. 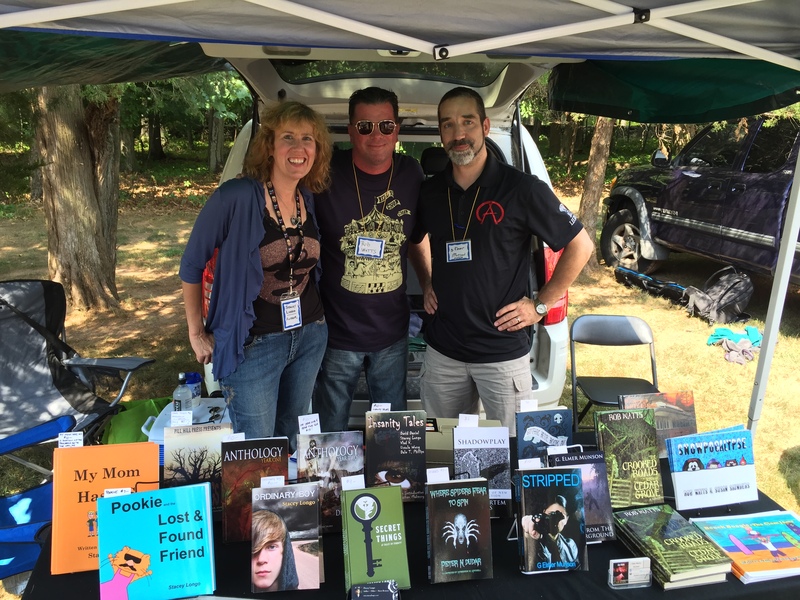 Meet authors Foley, Smales and Tony Tremblay at the Merrimack Valley Halloween Book Festival at the Haverhill Public Library in Haverhill, MA. ​from 10 a.m. to 4:30 p.m. Special guests include authors Brian Keene, Mary Sangiovani, and Joe Hill. Meet Smales at Super Megafest on Sunday, Oct. 22. 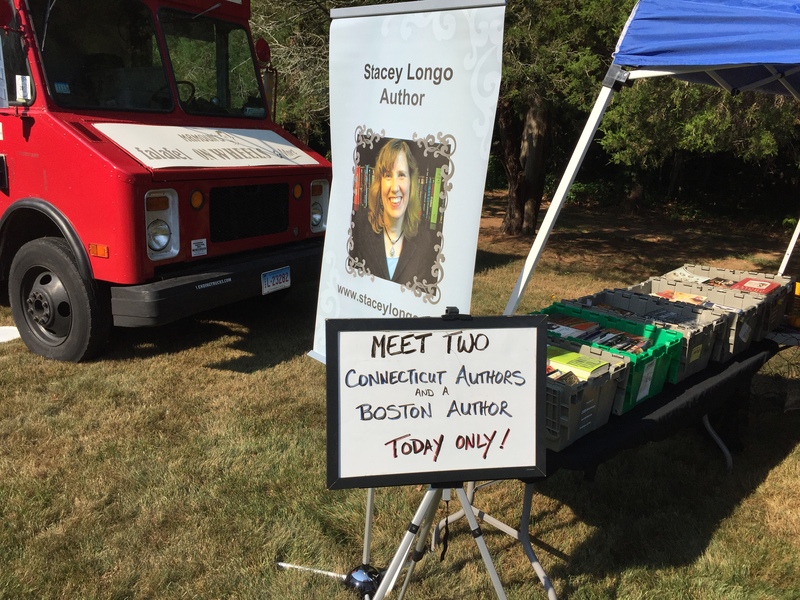 He will be talking about writing and other topics with Longo and Watts on the So You Want to be a Writer panel at 11 a.m.
Books & Boos Press was at the Open Air Market at the Wadsworth Mansion on August 30th with three authors: Stacey Longo, G. Elmer Munson, and Rob Watts. From left to right: authors Stacey Longo, Rob Watts, and G. Elmer Munson. This was my 4th year being involved with this event. 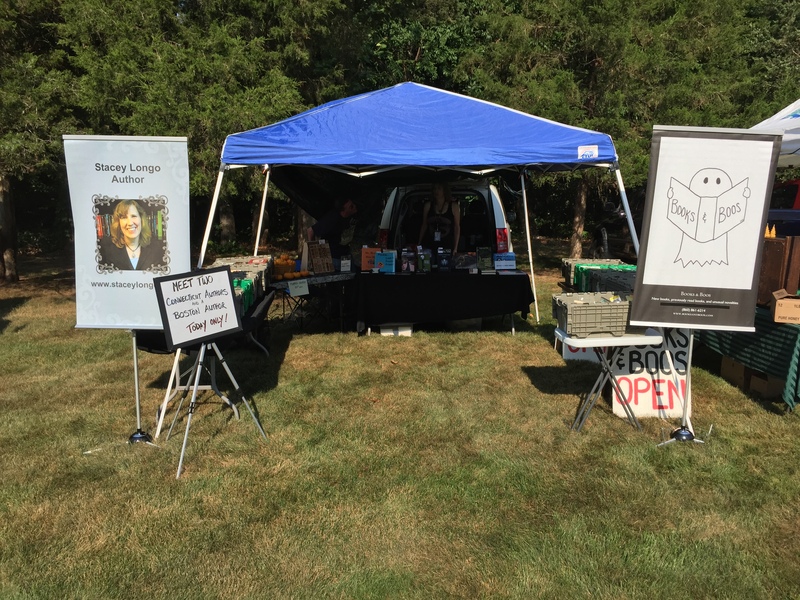 This involvement has always been with bringing authors and books to the Open Air Market. The market has always been successful and always has a lot of people coming out to it. This year was the busiest I have ever seen it. The attendance for this year’s event blows the other year’s attendance out of the water. 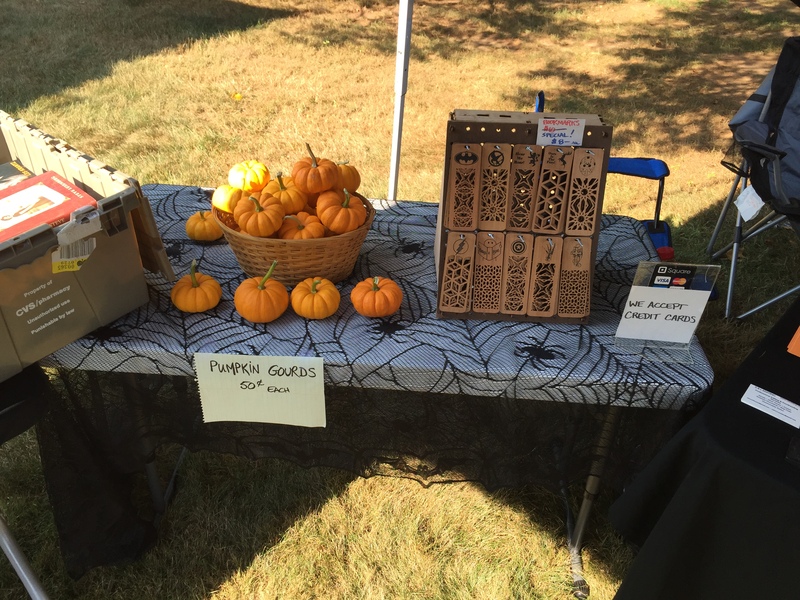 Click here for a Patch article with a nice slideshow of pictures.